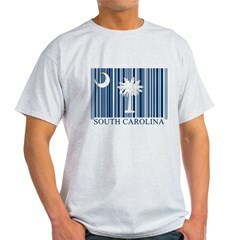 Flags in a familiar form: the bar code! Barcodes colored like state and county flags. Great designs for anyone who wants to express patriotism or show country or state pride in a unique way. Canada t-shirts and original Canada gifts & swag! 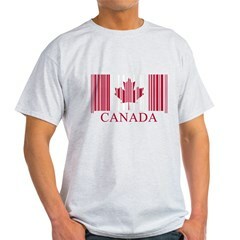 The flag of Canada in barcode form. An original design featuring the Canadian flag makes a great gift to show Canadian pride. Cute gifts here for Canadians and anyone of Canadian heritage. 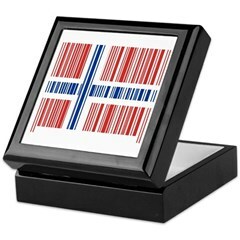 The flag of Colorado in barcode form. 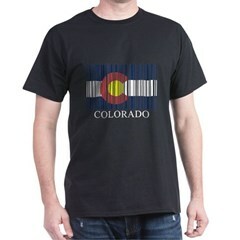 An original design featuring the Colorado flag makes a great gift to show Colorado pride. Cute gifts here for Colorado natives or proud adopted residents. Original Mexico t-shirts and great Mexico gifts & souvenirs. The flag of Mexico in barcode form. An original design featuring the Mexican flag makes a great gift to show Mexican pride. Cute gifts here for Mexicans and anyone of Mexican heritage.